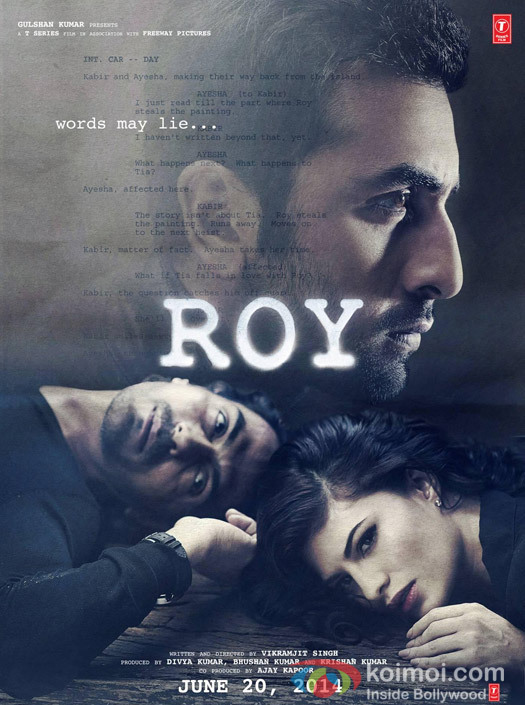 Home » Bollywood Popular » Ranbir-Arjun-Jacqueline Starrer Roy’s Release Date Out! Ranbir-Arjun-Jacqueline Starrer Roy’s Release Date Out! ‘Roy‘ is an upcoming romantic action thriller starring Ranbir Kapoor, Jacqueline Fernandez and Arjun Rampal in lead roles. The film directed by debutante director Vikramjit Singh has locked the date for its release.The film which was earlier slated to release in September is now postponed to 13th February 2015. The film has Ranbir Kapoor playing the role of a thief whereas, Arjun Rampal will be stepping in the writer’s shoes. Also, Jacqueline Fernandez will be seen in a double role for the film. Roy is a love triangle between these interesting characters. The film has already started with its pre-production work and gearing up for a release soon. Meanwhile the show-stealer of the film, Ranbir Kapoor has busied himself in the shooting of Jagga Jasoos in Cape Town.